“A knockout” (People) of a thriller from #1 New York Times bestselling author Patricia Cornwell featuring medical examiner Kay Scarpetta. Patricia Cornwell is recognized as one of the world’s top bestselling crime authors with novels translated into thirty-six languages in more than 120 countries. Her novels have won numerous prestigious awards including the Edgar, the Creasey, the Anthony, the Macavity, and the Prix du Roman d’Aventure. Beyond the Scarpetta series, Cornwell has written a definitive book about Jack the Ripper, a biography, and two more fiction series among others. Cornwell, a licensed helicopter pilot and scuba diver, actively researches the cutting-edge forensic technologies that inform her work. She was born in Miami, grew up in Montreat, NC, and now lives and works in Boston. Find out more at PatriciaCornwell.com, at Facebook.com/Patricia.Cornwell, on Twitter: @1pcornwell, and on Instagram: @1pcornwell. 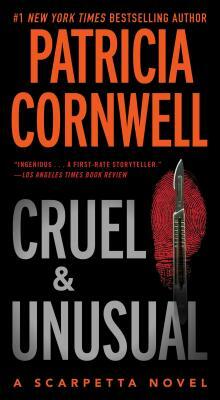 "Engrossing...an extremely effective novel of suspense, in all its varieties...Corwell's sleuth is the best in the business."